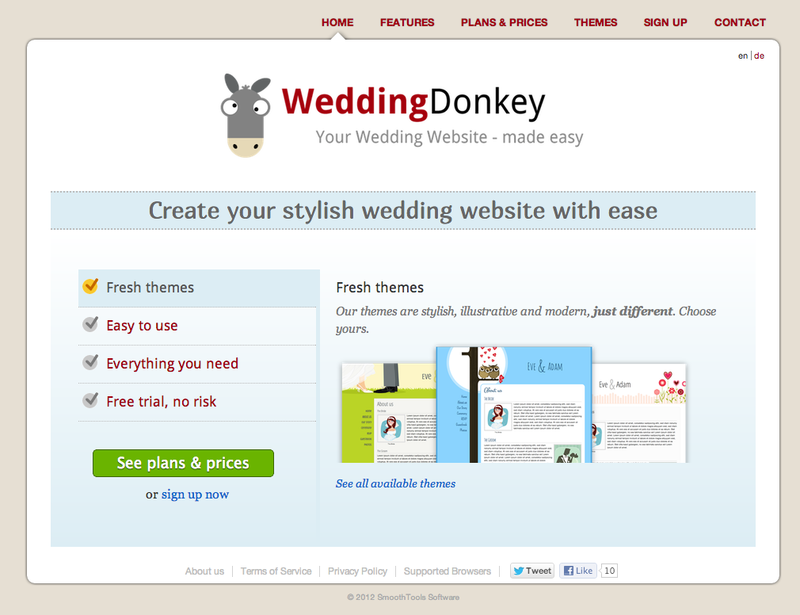 The available wedding themes are illustrative and fresh, not too traditional. The user interface is very modern, a lot of drag and drop and inplace editing, no need to switch to preview mode all the time because you instantly see how your page looks like. It uses the approach 'less is more' when it comes to features. No 'feature jungle' as on comparable websites. 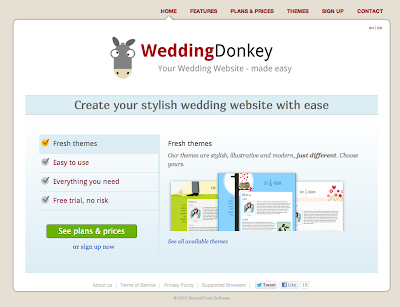 Please give it a try yourself or pass on the link if you know someone who gets married. I'm also happy to discuss technology topics regarding the platform.